Pinoy Aspiring Runners (PAR) holds the 4th and last installment of their 4-part series run, "Para sa Kalikasan Run." 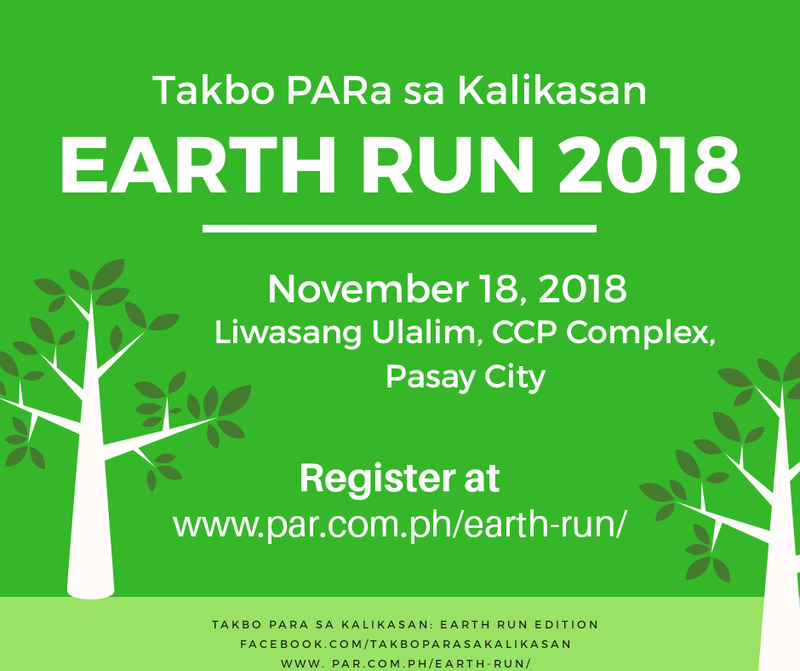 The Earth Run will be held on November 18, 2018 (Sunday) at Liwasang Ulalim, CCP Complex, Pasay City. 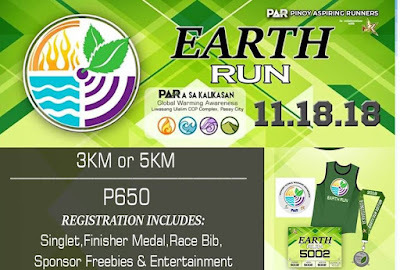 The other three events witnessed close to 5000 participants each: Fire Run (April 15), Water Run (June 17), and Air Run (September 30). Aside from the freebies coming from the sponsors, there was also a program to interact and make the activity meaningful. Several raffle prizes were given away. Race kits in all categories include a singlet, race bib, finisher's medal. 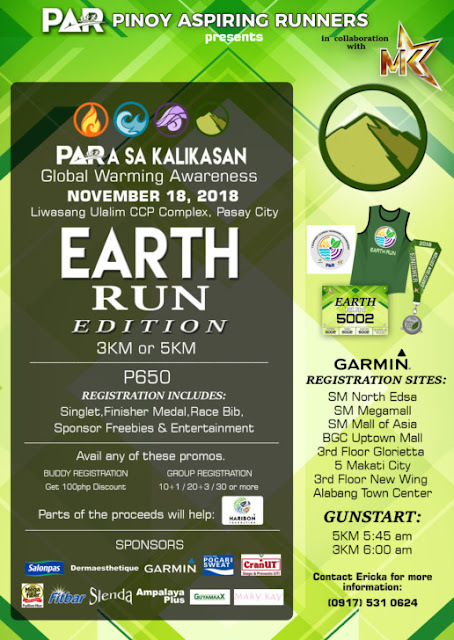 This running project supports Global Warming Awareness and promotes health and wellness campaign. 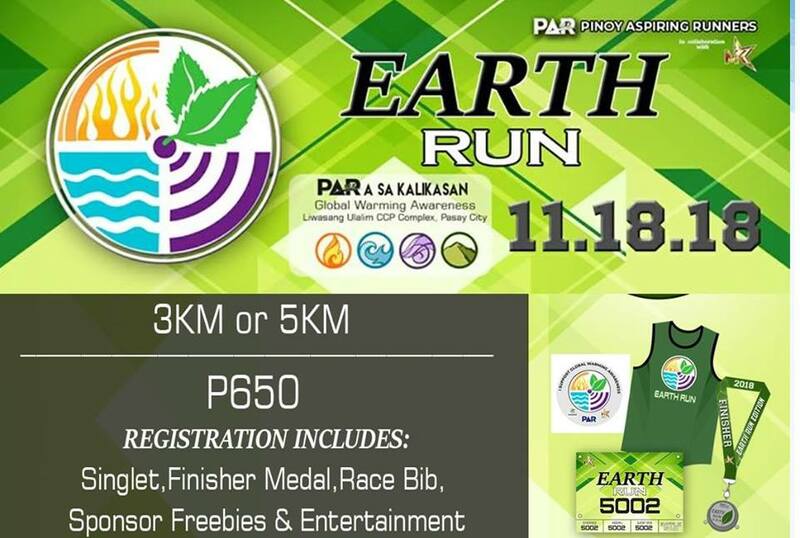 Part of the proceeds will go to Haribon Foundation as their beneficiary. 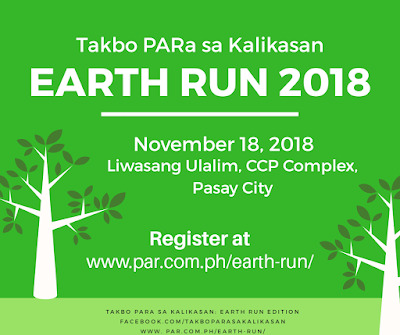 A fun run event which is organized by MnK Concept and Events Co., in collaboration with Pinoy Aspiring Runners (PAR) as the race director.